Christian Janke spikes the ball down on his competitions side. Janke stepped up again this season and led his team to a winning season. Christian Janke. There’s not much you can’t say about him. Over the years, Janke has accomplished things high schoolers dream of doing both on and off the volleyball court. From Freshman year to Senior year, some say Janke can be seen as one of the best athletes to come out of Sage Creek. Kind-hearted and high-spirited, Janke looks to just have fun all the time and leave everything he has on the floor. “Before I got to high school, I thought, ‘well that looks fun, I might as well try it,’” Janke explained. Trying to play basketball, volleyball, and keeping up good grades can put a strain on someone. Janke told us that there was a lot of interference between the two sports. Schedules weren’t adding up and ended colliding with one another, forcing Janke to pick a sport essentially. If you’re wondering what club volleyball is, it is essentially a travel team for volleyball that go play on tournaments around the world and is a completely different beast from high school play. 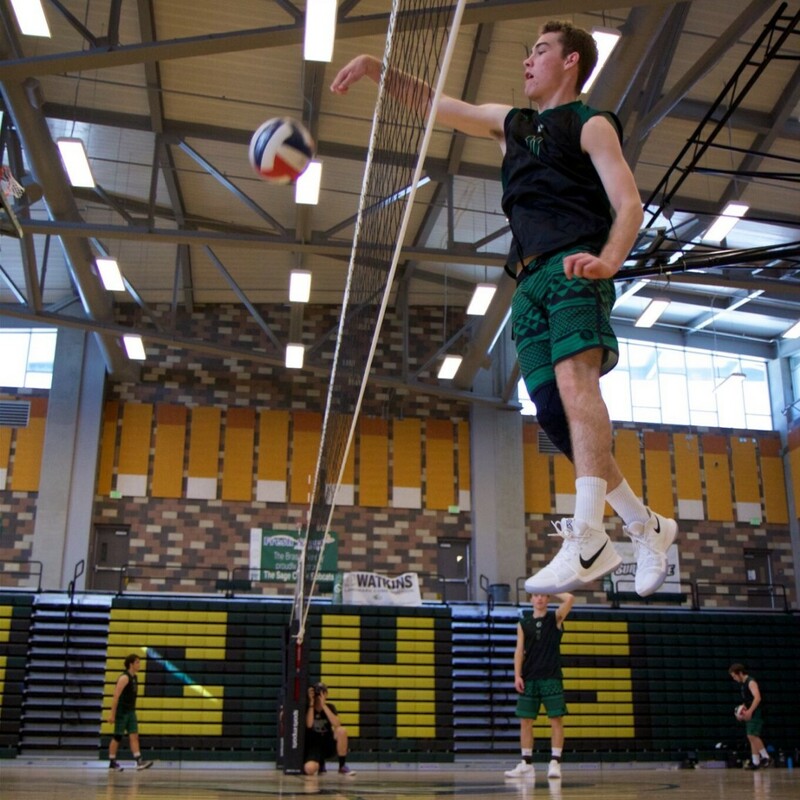 Switching back to high school volleyball, The Sage asked him his thoughts on winning CIF two years in a row, qualifying for a State Championship two years in a row, and winning a state championship felt like. He enjoyed every second of it and stated, “It was fun, the higher level you play and the higher level you win, the more you realize how good you can be. We didn’t realize that until we got to the higher level year and each year we have been surprised with how well we can do”. Now committed to Grand Canyon University, Janke is looking forward to playing at the collegiate level. He will play on the Men’s Volleyball team for Antelopes this coming Fall. As he continues his journey, Janke would like to thank everyone that has been in his corner throughout his journey to becoming the man he is today.